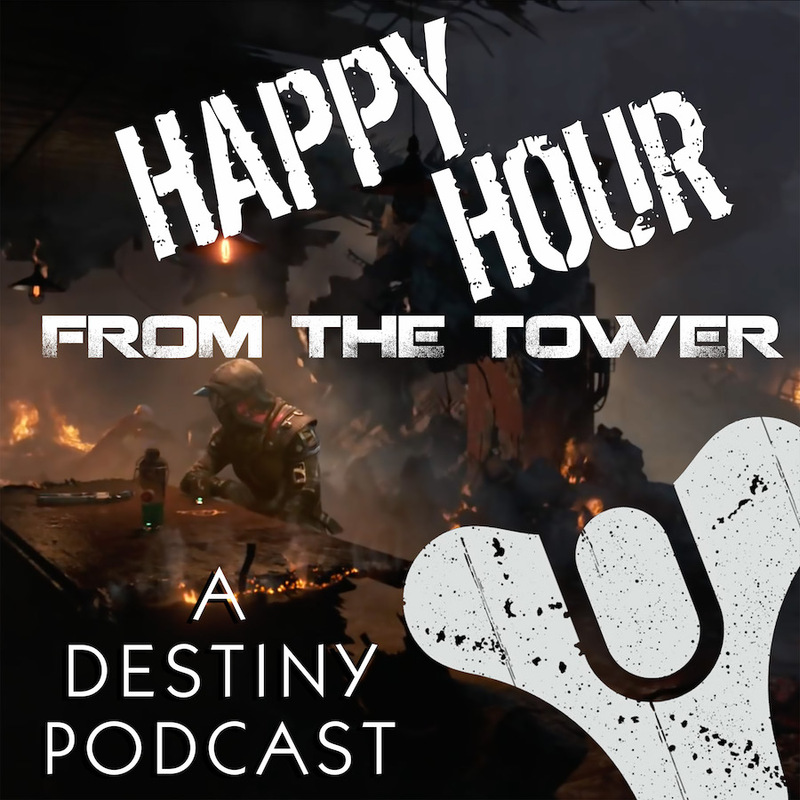 We may be going long on this episode of Happy Hour from the Tower because last week, our own TeeMonster headed into the belly of the beast with Lulusoccer and pulled off a raid. Yes, Tee successfully survived the Leviathan! While Nick has questions and Brandon tries on various shades of green, the guys shadow-step with Tee through the first raid of Destiny 2. In the second half of the show, we also look at a conversation floating through the Destiny community about the state of the game after its first month. Does it have staying power? Hear what the guys have to say on that. Got questions for the Guardians? Send in your feedback at 703.791.1701 or podcast (at) happyhourfromthetower (dot) com. We’d love to hear from you! Showing a little love for Failsafe, our new favorite NPC. Tee admits how Peter Dinklage would not work as the voice of your Ghost in Destiny 2. Congratulations, Dead Orbit…you freakin’ Space Goths. Wait, did Brandon do something that is more on par with Tee’s approach to Destiny? Tee’s Early Morning Twitch Stream — it’s a thing now! Tee felt pretty good about the Raid. The follow up was when he freaked out. Running time for the Leviathan? Somewhere in the two-three hour window. The Baths: One minor hiccup reminiscent of Monty Python, but then Tee was solid. The Gauntlet: Wait, you want me to do what?! And Tee’s heart rate was up going into the Boss Battle. The Grinder: This was Tee’s traumatic moment…and the Raid was already done! Brandon doesn’t get Trolly McTroll, but they are out there. Seriously? Tee was the first in the Clan to do it? …and other great Twitch streamers, many of which will be at GuardianCon 2018! How do you start the boss fight? It’s pretty cool. A very clever touch of storytelling. Well done, Bungie. Destiny Power Player Datto shares his own thoughts. The new mechanics do make things easier for a casual audience because this is a business. This is reminiscent of SMOFs whining about new fans at conventions. “Casual Gamers” are not always a bad thing. 3vil_Aura has voiced concern about the game already being over and done, but is that fair considering the level of gamer that he is? The disconnect with Tee and Brandon: In Destiny 2, there is always something to do! The grind is in the design, and it is fun! We have all played Destiny 2 in this first month of the game as opposed to the last six months with Destiny for various reasons. Tee and nick are not cool with the new “participation trophies” in Destiny 2, as Datto commented on. There is just as much to do for casual gamers as there is for the higher level players. Hey — we got our first review on iTunes!!! Holy Hannah in a Hovercraft, that was fun! What did you think?